Basecamp keeps people on same page so no matter what your role is, everyone works toward a common goal: finishing a project together. 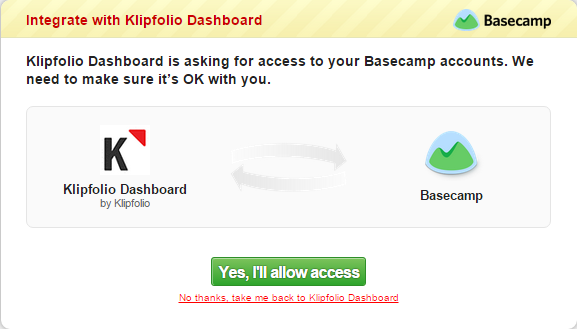 Once you have selected a Basecamp Klip from the Gallery, use the drop-down menu to Select a token or Create a new token. If you're creating a new token, in the dialog box, enter your username and password and click Sign In. Click Yes, I'll allow access. You now have a new token. For example, George @ Basecamp. 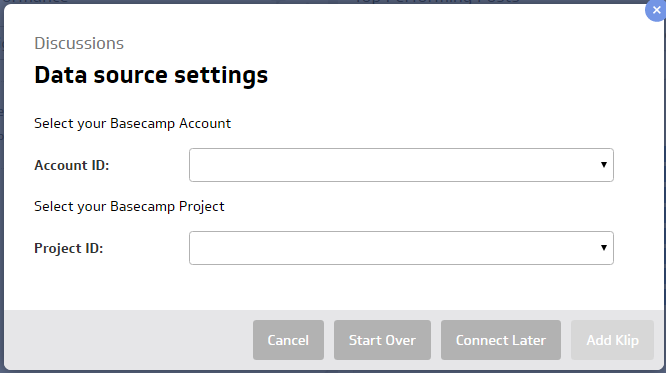 Select your Basecamp 2 your Account ID and Project ID from the drop down menus.